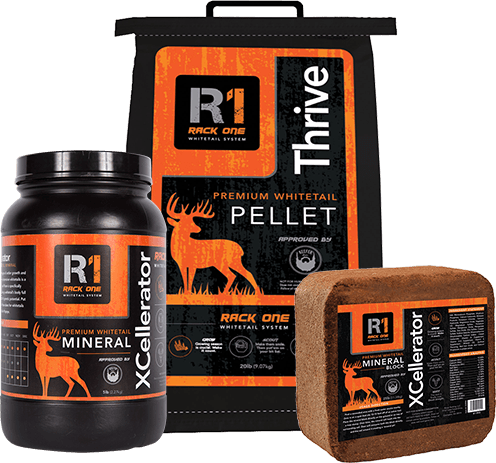 The RACK ONE WHITETAIL SYSTEM is a premium nutritional supplement program for whitetail deer. This comprehensive system centers on knowledge of a whitetail's needs and behaviors, with products of exceptional quality and proven results. 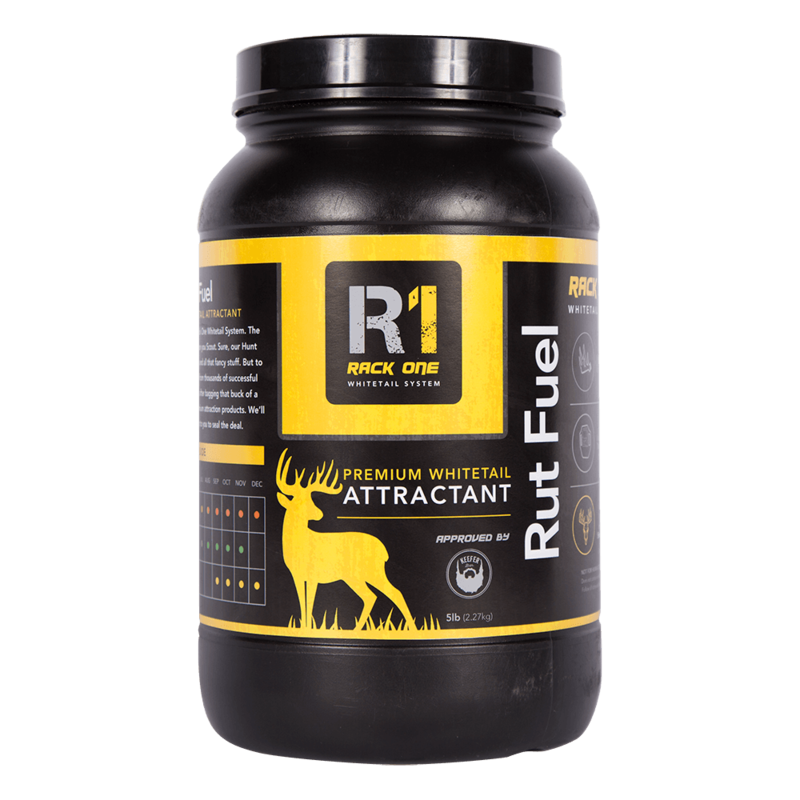 Features a supplement formula geared to packing a whitetail's body full of everything it needs to reach its genetic potential. 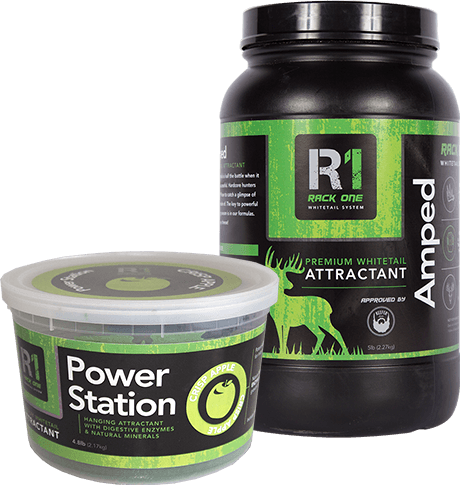 Formulated for antler growth and powerful attraction to get those legendary bucks in camera range. 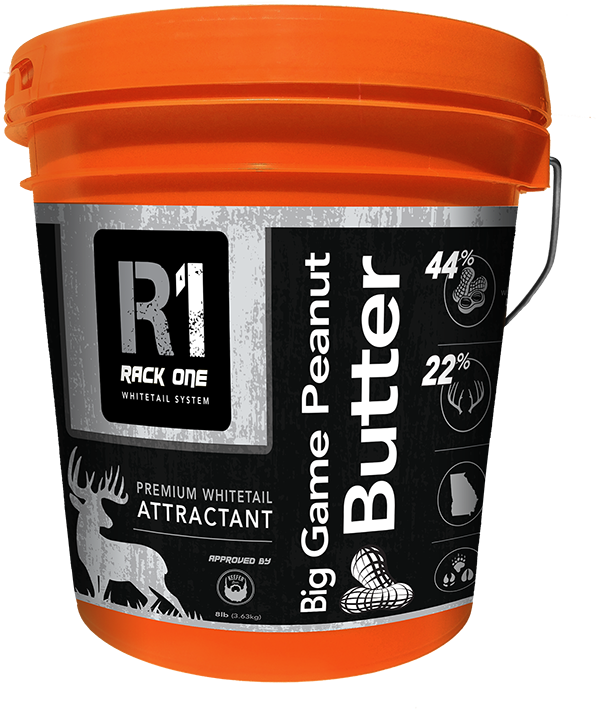 The final phase of the Rack One system is a scientifically proven premium attraction to bring that buck of a lifetime in range. Growing impressive whitetails requires more than corn or a salt block. Give them what they really want!